What Makes CVA a Great School? "We have been looking for a long time for a school like this." Cyber Village Academy has an impressive, long-term record of success. In recent years, both state and national standardized tests have consistently shown that in most grade levels and most subject areas, our students progress at an above average rate. Test scores are just part of our successful record. Students have won national honors in History Day, including a first place in 2012. 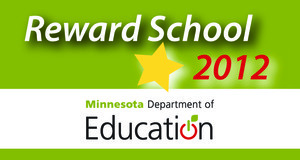 Several students have gone to Minnesota State competitions in Science Fair, won stock market simulations, and earned awards in Future City and LEGO League tournaments. Even more important than our test scores and academic accomplishments, we are most proud of the school culture we have created and the impact we have made on the lives of students and families. Read on for some examples. "I feel that my child is getting something like a high quality private education." "When I was working weekends I really enjoyed helping my child with schoolwork during online days, and now that I work weekdays, my son is excited to work at school with his friends at the optional study center. The flexibility that is possible at Cyber Village is unique among charters." "CVA saved her life! She has grown SO much at CVA and the possibility of other schools is only an option because of CVA. Her life was absolutely altered by CVA forever and for the better. " "This is the first school that realized my daughter has something to offer and held her to it." "My kid actually comes home from school smiling!" "CVA is like one big no-bullying zone." "This school is like the golden apple in the barrel." "Thank you for all you do to provide not only a healthy educational atmosphere but a warm and caring attitude towards my son and all students." "I hope you realize that you do so much more than teach. You provide hope." "Our daughter has grown emotionally and academically --making the A and B honor rolls many times; taking the bus all on her own and advocating zealously for her own needs; and, learning to accept responsibility and consequences. She was not able to go on field trips at her prior school and went to Space Camp in another state with CVA! She has made amazing, huge strides." "You show your students that you care and that they are worth your time by all the extra help you give. You find opportunities to help students find their "internal motivation". "His other school had totally given up on him. Here, he has totally turned it around." "It's one of the things I love about CVA: building great time management skills before college!" “CVA has been great! It’s a lot less stressful at home. I am able to include him on rewards instead of focusing on discipline. Our daughter was very afraid coming to her new school today, but because of your welcoming spirit, she was less reluctant that before. When I picked her up today, she told me that a student that met her during her shadow day had hugged her three times as she was so happy to have our daughter attending school. Our daughter also told me that in recess everybody gather around her after the 8th grade girl with the pink hair (sorry, we can´t remember her name) said loud and clear “Come on everybody, we´ve got a new friend” - How beautiful is that. And that´s not all; for the first time since she started school she said with a big smile “I am actually enjoying school now. Its fun” You have officially accomplished something in one day that her old school failed to do in four years (smiley face). My son spent most of his life unhappy and struggling in school. Every day of his life he has struggled to a certain degree to fit into the world in a way that felt comfortable to him. The only place he really felt comfortable and accepted was at home. My son's life changed since starting school at CVA last year. He now has other students who he enjoys spending time with, he is much more outgoing and social. He was able to have a job this summer where he waited on customers, and did great. He loves to write and is now a published writer. He is starting to consider the idea of going to college. We his parents, are starting to feel that there is nothing this young man can't do if he puts his mind to it. We owe many thanks to CVA and the wonderful staff there, for not only their ability to be great educators, but because they allow and encourage the students to appreciate who they are and find their strengths. So... thank you CVA, from my son, his parents, and the many students who are better for having walked through your doors!